Your child's first experiences of playgroups and pre-schools are important steps - for mums too! Local Mums give their recommendations for the best ones in our area here. “I highly recommend�Play B C Preschool�to Local Mums. My son absolutely loves Play B C and can’t have enough of it. If it was up to him he would be there on weekends and there would be no half term! The staff are great and hot food on site is a bonus." Play B C continue to prioritise developing relationships with children, sensitive interaction, and fun but challenging learning through developmentally appropriate activities. �Preschool life has been enriched by a diverse cohort including children with diabetes, autistic spectrum disorders and Down's syndrome. 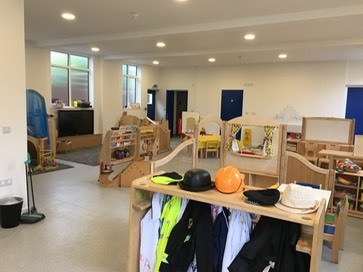 �All children have enjoyed their learning and playing enormously resulting in some of the highest EYFS attainments in the preschool’s four year history (89% of children meeting age related expectations �in prime areas of learning, 84% in literacy and 86% in maths). �More than just a place, at Play B C every day is a learning adventure. Looking for quality early years provision? �Simple as Play B C! Good preschools have a lasting positive impact in all areas, particularly where a trained teacher is present. This means sensitive adult interaction and developmentally appropriate activities. Our well-qualified and experienced staff prioritise developing a relationship with your child and offering fun but challenging learning. Come along and see us to find out more!